Sears Holding Corp. (SHLD) has signed a contract with Edward Lampert to keep him on as CEO of the company at a salary of $1 per year. A regulatory document filed Wednesday shows that the billionaire hedge fund manager will be paid an annual base salary of $1, but with the opportunity for a bonus of up to $2 million in cash or stock and up to $4.5 million in stock per year. A number of companies have given their top leaders a salary of $1 during tough times to demonstrate their commitment to a turnaround. Some are then also rewarded through performance-based bonuses to encourage results. Sears announced in January that Lampert would take over as CEO after Louis J. D'Ambrosio stepped down due to health issues involving his family. Lampert is the chairman and the largest shareholder of the Hoffman Estates, Ill. company. He will work out of Miami. Some investors were nervous about Lampert's appointment, as they worried whether Lampert would continue the investment that D'Ambrosio made to improve the shopping experience. Sears, which operates the Sears and Kmart chains, is trying to turn itself around after years of weak sales and a failure to entice new shoppers. Lampert has a tough road ahead. He engineered the combination of Sears and Kmart in 2005, about two years after he helped bring Kmart out of bankruptcy. But he must overcome six straight years of declines in revenue at the company's established stores. 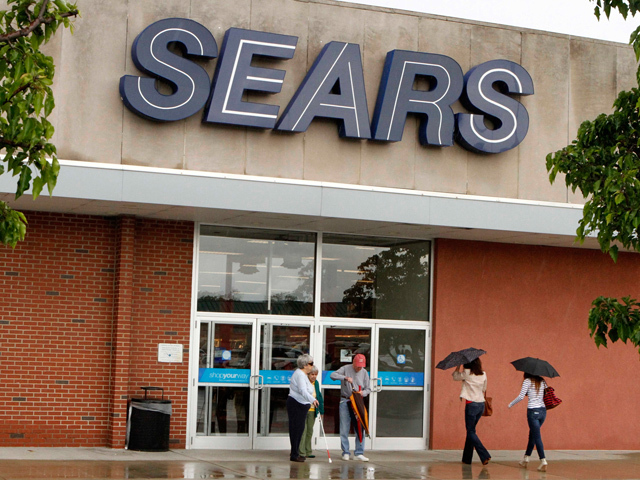 While Sears' middle-income shoppers has been hit hard by the economy's woes, critics have long said the company hasn't done enough to invest in its stores to compete with Wal-Mart Stores Inc., Target Corp. and other competitors. Sears announced plans last year to restore profitability by aggressively cutting costs, reducing inventory, selling off some assets and spinning off others. Shares of the company fell 69 cents to $51.61 in afternoon trading, in line with the broader market. The stock has rallied 25 percent in the year to date but is still off its all-time high of about $180 reached in April 2007.